Music note resin trophies are appreciated by the younger musicians. 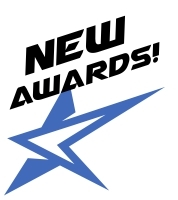 They are a little different from the traditional figurine trophies, but they still represent an award for achieving a level of excellence. 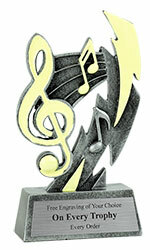 Present the music note resin trophies for music achievement of all instruments or vocal accomplishment. I needed my plaques by our band concert. They made sure they got to me with time to spare, and they looked great!